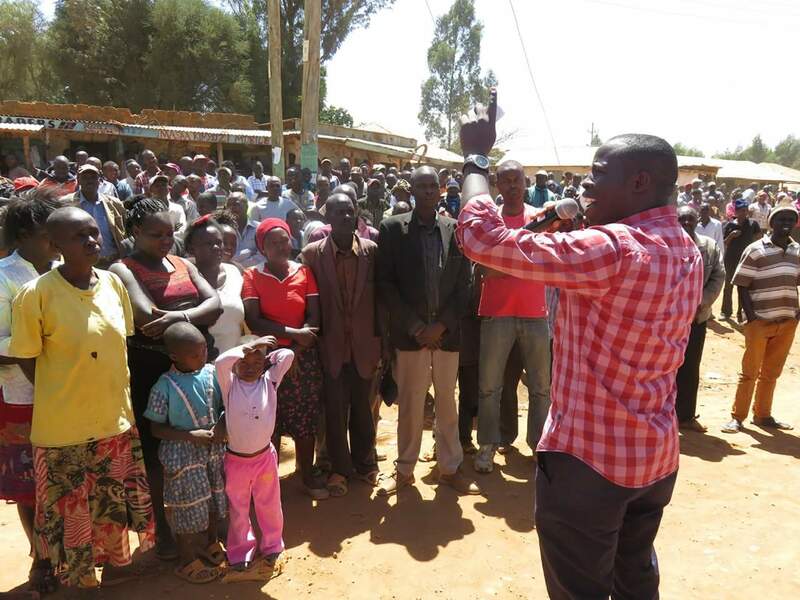 Nandi County Senator Stephen Araap Sang has urged residents to register in large numbers as voters during the ongoing mass voter registration exercise. While addressing residents during a joint voter registration drive organized by Rift Valley professionals and the Independent Electoral and Boundaries Commission(IEBC), Senator Sang pointed out that all eligible voters must ensure they get registered before the close of the ongoing excercise. “If you want to participate in the forthcoming elections and choose the right leaders that will take our country and county in the right direction then you must register as voters,”said Sang. IEBC officials led by Grace Rono, who is the registration officer in charge of Mosop Constituency, said they are targeting to register a total of 135,000 before the end of the registration exercise. The first day of the voter registration campaign caravan covered Mosop and a section of Chesumei constituency and is expected to continue until Friday. The roadshow made stopovers in Lemook, Ndalat, Selia, Chepterwai, Kabiyet and Mosoriot township. A section of leaders led by proffessionals who included CPF Financial Services Ltd CEO Hosea Kili, Kengen Chairman Joshua Choge and MCA Francis Kemei also spearheaded the voter campaign rallies with the aim of ensuring residents get listed as voters enmasse.